A single huge burst of brocade to multi-color stars starts the action followed by a double burst of brocade and white strobe in a "V" shape formation. Continuing on with a triple fan of brocade to crackling before the sequence repeats once again. 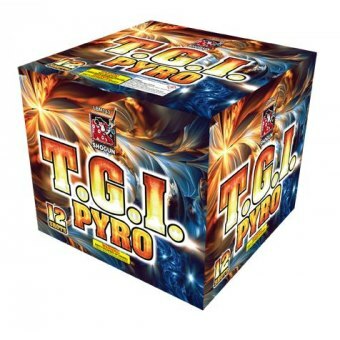 Thank goodness it's pyro…..what a way to fill the sky!